Hi all, I have a 96 XJR with heated windscreen. The centre console doesn’t have a separate switch(only defrost & rear screen) and I’m wondering if PO has changed heater controls as the handbook shows an extra switch. Hi Andy, thanks for your input. I’ve checked the fuse box and both fuses are in place. When I changed the clock the plastic mounting panel was in poor condition so it has been out before. I’ll look out for a second hand panel. Perhaps the PO had the screen fitted and didn’t realise that he also required a centre console that had the switch installed! We’ll know soon enough, I’ve ordered a heater control panel with the extra switch, fingers crossed. Okay, the upshot of this escapade is that someone has fitted a heated screen (and that’s it) and then cut the wires short. There is no harness or relays. I had changed the heater control panel for one with the front screen switch in the hope that it was the problem. If I can find the harness and relays I may be able to lengthen the cut wires and get it working before next winter. If you can find the harness and relays fine, if not I would “jerry rig” the circuitry via a fuse and the switch, if you look at Radio shack or similar you may be able to source a solid state relay with a timer function to switch it off after a suitable period of time. 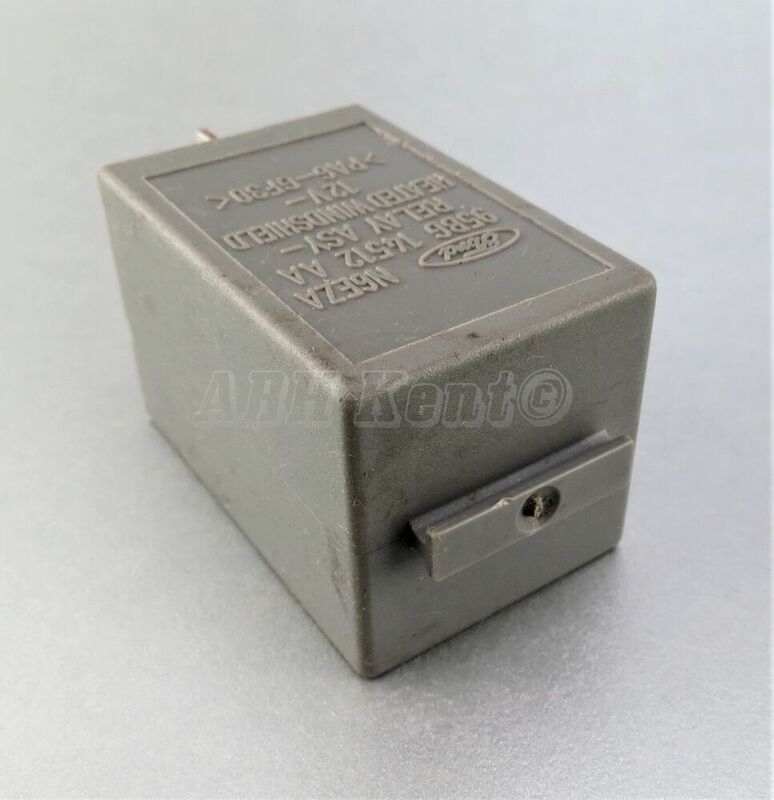 Genuine6 Pin Heated WindShield Grey Relay. Ford Almost All Models (1985 - 2002). Ford >PA6-GF30 <. GenuineFord Part. Fits both LHD & RHD cars. Made ByFord. | eBay! Exactly what I was thinking about but too idle to find Andy.